Luv' has reunited several times after its demise in 1981. On this page, you'll find informations about the group's comebacks from the most recent one to the previous ones. 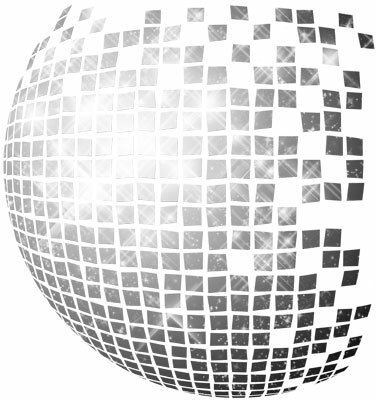 Luv' is one of the few fully manufactured bands of the Disco and Dance era to be on stage with the original line-up (unlike Boney M. and Village People). In April 2005, the original Luv' members made a surprise showcase at the 40th business anniversary and 60th birthday of Hans van Hemert. One year later, a reality TV show (Back In Luv) about their comeback was broadcast on RTL 5 (a Dutch TV channel) and on VTM (a Flemish channel). A DVD (also entitled Back In Luv) and a 4 CD Box (Completely in Luv with bonus tracks and remixes) came out. On May 26th, 27th and 28th 2006, Luv' and Bobby Farrell (of Boney M.) were the guest stars during three spectacular shows of De Toppers (a supergroup featuring three popular singers who had already achieved fame and respect in the Netherlands and Flanders: Gerard Joling, René Froger and Gordon) at the Amsterdam ArenA. Then, Patty, Marga and José had a hectic schedule in 2006/2007. They performed in TV shows and were often booked for live performances (in discos, private parties, corporate events and festivals). Nowadays, the girls sing sporadically. Inspired by the success of the ABBA and Boney M. Gold compilations in 1992, the original Luv' formation reunited in the spring of 1993. The trio signed a record deal with Arcade Records for the release of their own compilation (entitled Luv' Gold featuring the greatest hits of the 1977-1981 period). The promotion campaign of this anthology CD was launched in a notorious Amsterdam gay club (De iT') where the Luv' singers appeared in concert. The compilation topped the Dutch album charts for eighteen weeks and reached the fourtheenth position. Luv' hadn't topped an album in the hitlists for nearly thirteen years!!! Moreover, the trio scored a hit single on the Dutch Top 40: a megamix produced by Dancability (a project involving Martin Boer (of the famous Dutch Dance act "2 Brothers on the 4th Floor"). This medley is a non-stop dance mix of Luv's greatest chart toppers (U.O.Me (Waldolala), Trojan Horse, You're the Greatest Lover and Ooh, Yes I Do). Thanks to their comeback, the ladies often performed on TV. They even recorded a special ("Discover the world with Luv'") aired on the Veronica Channel and filmed in the British Virgin Island. They toured extensively the club circuit in Holland, Belgium, Germany and Denmark until early 1994. Luv' later recorded what turned out to be their final studio album (All You Need Is Luv') which came out in the spring of 1994. Then, they performed from time to time and disbanded in 1996. In 2003, to celebrate Luv's 25th anniversary, a double CD compilation (25 Jaar Na Waldolala) was released by Universal Music Netherlands. This Greatest Hits album contains bonus tracks: Spanish versions of four hit singles plus José and Marga's solo recordings. 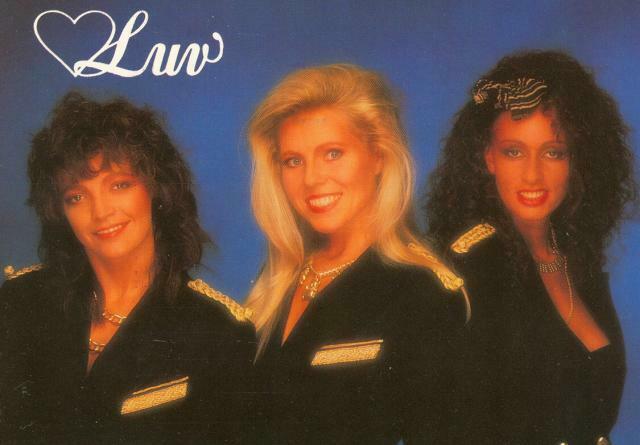 In 1989, Marga Scheide formed a new Luv' act with two other singers: Michelle Gold and Diana van Berlo. The ladies signed a record deal with the Dutch labels Dureco/High Hashion Music. The original Luv' producers (Van Hemert and Souer) were not involved in this version of the trio. With the help from Marga's partner at the time, Jacques Zwart (a.k.a E. Mergency), a new musical direction was chosen and the British producer Nigel Wright was hired to produced new recordings. Wright was a veteran of the English Dance scene as a member of Shakatak and thanks to the hits he produced for Mirage, Imagination and other bands. Later, he collaborated with world stars such as Andrew Lloyd Weber,Barbra Streisand, Madonna, Boyzone, Take That, Cliff Richard. Luv' recorded in London an EP (For You) which was inspired by the Stock-Aitken-Waterman sound that dominated the European music production in the late 1980s. Dureco/High Fashion Music decided to release the Pop-Dance song Welcome To My Party as a single to mark the trio's return. This track peaked at #22 in the Netherlands and at #28 in Flanders (Begium). The follow-up singles flopped. Moreover, the trio was involved with other Dutch girl groups (Frizzle Sizzle, Mai Tai...) in the All Stars project to help Third World children with the Star Maker single. In 1990, Michelle Gold was replaced by another vocalist, Carina Lemoine. This change in the group's line-up coincided with a new record deal. The trio left indeed Dureco/High Fashion Music for RCA/BMG and chose another kind of repertoire. Luv' recorded songs that wove elements of flamenco, latin musical styles, and Jazz into its Dance pop sound. The majority of these new tracks were composed and produced by Jacques Zwart. He recruited famous session musicians in the Dutch music scene (like Bert Meulendijk, Eddie Conard, Hans Jansen Lex Bolderdijk, Omar Dupree and Ton op 't Hof) for the recording of an album (Sincerely Yours). Despite the participation of the above-mentioned artists, the album and the singles taken from it failed to make any chart impact. Even if the girls didn't sell a lot of records, they toured extensively in clubs and discos and also made some TV appearances. In 1990-1991, they even recorded two TV specials in exotic places, one in Sri Lanka and the other one in Thailand. During the Gulf War in which the Netherlands were part of the coalition against Iraq and Saddam Hussein, Luv' performed in Dubai to support the Dutch troops, following the examples of Marlene Dietrich, Marilyn Monroe, Raquel Welsch and Kylie Minogue who had entertained soldiers. "Marga's Luv'" (as the fans called this version of girl group) disbanded in 1992. In 1994, Carina Lemoine and Diana van Berlo formed a short-lived duet: Lady's D.C. and recorded the song "Now Is The Time" (released by RCA/BMG). In 1988, Patty, Marga and José were reunited for a Dutch TV charity show ("Samen"). The public was so enthusiastic that Luv' planned to record a comeback album. Even, Stock-Waterman-Aitken (famous for the hits they composed and produced for Kylie Minogue, Rick Astley, Dead or Alive, Sonya, Jason Donovan, Big Fun, Samantha Fox, Lonnie Gordon, Mel & Kim, Bananarama and Donna Summer) were said to produce this opus. Unfortunately, it never happened. Then, José and Patty didn't want to belong to the group anymore. Marga seemed to be the only one to carry on. In 1985, Story, a Dutch celebrity gossip magazine, brought Patty, José & Marga together for a photo session, an interview and to grace its cover. It was the first reunion since Patty's sudden departure in August 1980.